With his red comb and his characteristic rounded shape, you won’t miss it. This harmonica is quite popular amongst jazz players., like the great harmonica player Carlos del Junco. 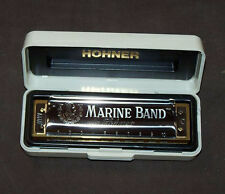 It is also one of the favorites harmonicas of Howard Levy, the discoverer of the overblow and overdraw technique. I'm a professional blues harmonica player. I've tried every brand on there in the past 50 years. 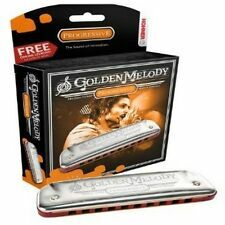 Now I know better and when I need a harp I just buy Hohner Golden Melody no matter what key. My latest was H G M key of C . No adjustment needed. Played right out of the box. Sounds awesome, feels good in the hand. I love it. Beautiful sound, easy to play.